We believe iPad deployment solutions should be simple, elegant and reliable. That’s why we’ve created the most comprehensive line of products to charge, mount and secure iPad in professional environments. Our goal is to enable you to seamlessly transform iPad into its intended purpose as a controller, digital sign, menu or kiosk. We design products with both the user and the installer in mind delivering un-matched aesthetics, usability and installation flexibility. iPads are quickly becoming a staple in corporate offices as a hub for automation control, digital signage or calendar scheduling. 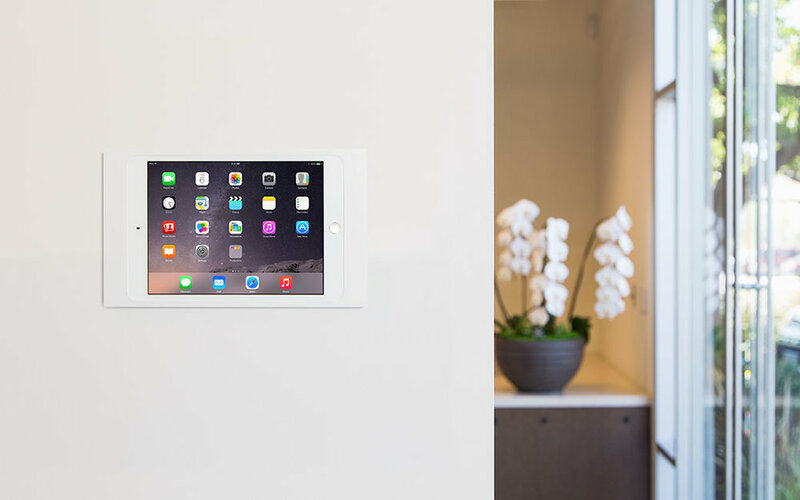 Surface Mount provides a way to elegantly mount iPad on any surface, keeping it always charged and secure from theft. Affix Side Mount to any metal door frame for a flush, clean look for your conference room scheduling or digital signage. An elegant home for iPad. Elevate your conference room technology with LuxePort, made of precision machined high-grade alloy. 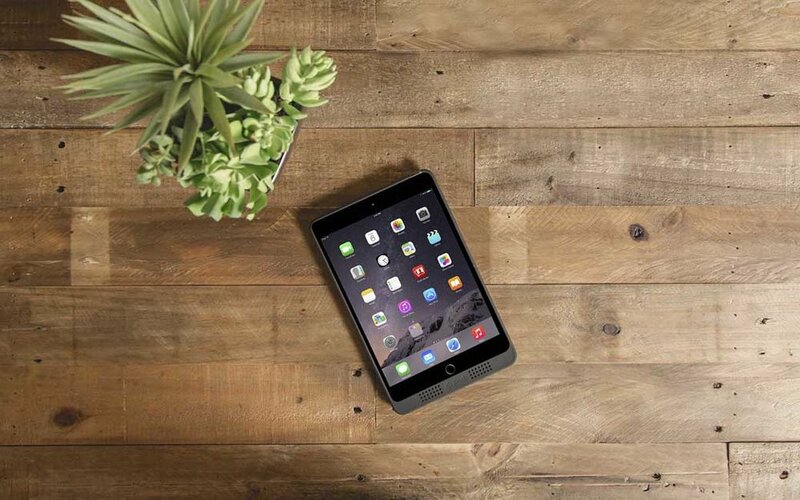 LuxePort's refined aesthetics help iPad to blend into high end corporate spaces. Premium features such as a security locking system allows for total lock down of Case and BaseStation to a table or wall to perform in even the most demanding commercial environments. iPads have become the go-to solution for automation control in offices or electronic front desk check-in. 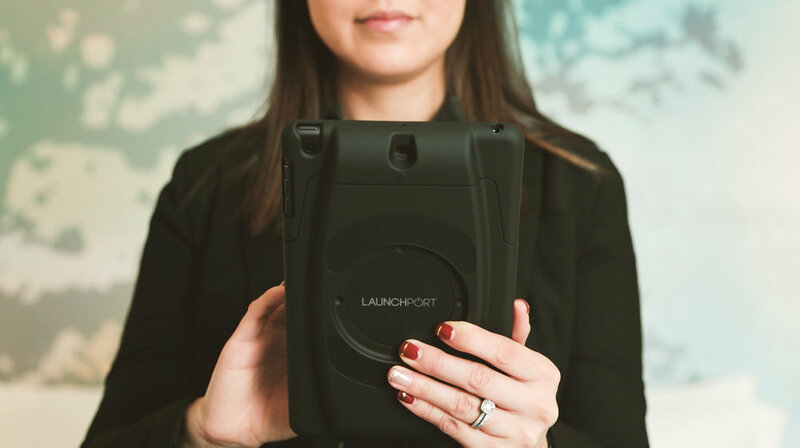 The LaunchPort system enhances iPads usability by keeping it protected, wirelessly charged and accessible. The system consists of a Sleeve and either a tabletop BaseStation, which plugs into any wall socket, or an on-wall, fixed WallStation that is powered in-wall via low voltage wires routed back to a power source. Charge Case & Stand 2 provides convenient tabletop wireless charging for iPad in any enterprise application. Charge three devices in one; two USB ports at the base of Charge Case can power additional mobile devices while eliminating clutter and unnecessary wires, making it the perfect addition desk or conference room. iPort has been chosen by some of the world's leading corporations to help them hold, charge and protect iPads in their businesses. Want to find out more about our corporate products?